The original Footloose is one of my all-time favorite movies. Even though coordination and grace are not attributes I possess, I love to dance and I’m a sucker for any flick involving dancing (Center Stage, Girls Just Want To Have Fun, Step Up, etc). Footloose makes it to the top my list thanks to the combination of Kevin Bacon and an awesome 80s soundtrack. So you can imagine my horror when I heard a Footloose remake was in the works. Does Hollywood have to remake EVERYTHING? Are there no original stories left that aren’t based on actual events? I mean really! And how bad would it have been if they stuck with the original idea of a musical version of Footloose with Chase Crawford? Hairspray was bad enough. It destroyed the perverse magic of John Waters but a singing Ren McCormack would have been too much for me. Now I’ve heard that the Footloose update isn’t as horrible as I predicted but I still won’t be forking over cash in a theater to watch it. However one good thing did come from all this; Deborah Lippmann teamed up with HSN to be a part of their Footloose Collection. She created two exclusive nail polish duos named after the songs we all remember from the original film – Almost Paradise & Footloose and Dancing In The Sheets & Let’s Hear It For The Boy. Formula & Application: Deborah Lippmann nail polish is 4-Free (including formaldehyde resin) and doesn’t contain camphor, which can be an irritant. Her signature glass bottle is so distinct you would know the brand even without the name on it. It’s one of the best bottle shapes in the industry. The curved cap was designed with professional manicurists in mind as it is shaped to rest comfortably between your fingers. The Lippmann brush is short, round and average in width with flexible bristles that easily fan out over the nail plate. The three creme polishes all have the same creme/jelly hybrid formula that I’ve come to expect from Lippmann. They are packed with pigment but have a squishy, jelly type feel. The one shimmer is thin, easy to manipulate and pigmented. I was able to get great coverage in two coats with all but one (Almost Paradise) though the red (Footloose) probably could have used a third coat as there is a wee bit of VNL (visible nail line). 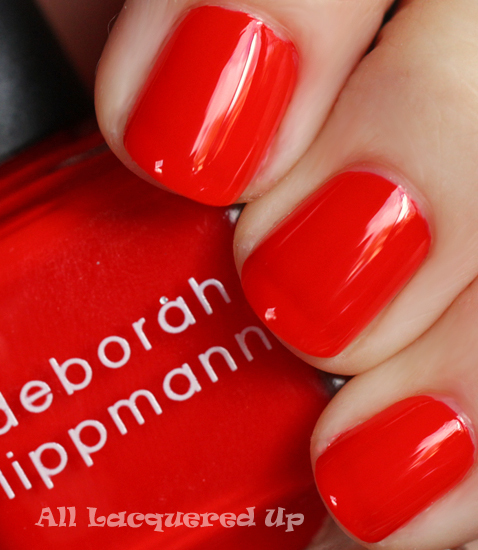 Deborah Lippmann Footloose causes immediate flashbacks to Ariel’s signature red cowboy boots. The ones her preacher daddy hated SO MUCH. Of course Ariel’s boots looked more dark cherry in the movie and Footloose is a ripe tomato creme. While I’m normally pretty immune to red polish, this one flowed on the nail so phenomenally that it turned me into a red lover for a hot second. 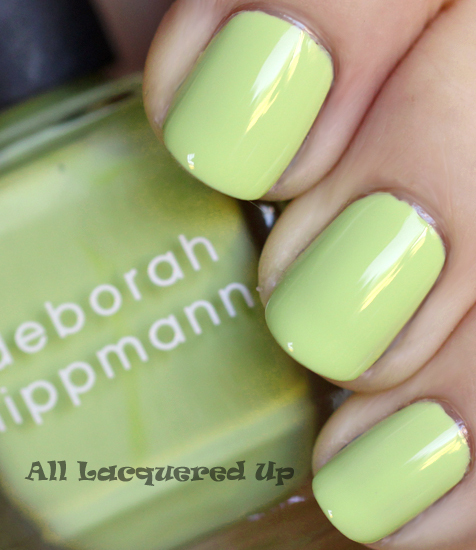 Deborah Lippmann Almost Paradise is not the kind of green I normally fall for. Yellow-based hues just aren’t that flattering on me but there’s something about this cross between chartreuse and celery that I’m obsessed with. Even though it takes three coats, it’s totally worth it. Get involved people! Side note, the Dior Spring 2012 runway featured a bold red lip paired with a light green nail that wasn’t nearly as pretty as this color. Hop on the trend early by wearing an Almost Paradise mani with a Footloose pedi. Deborah Lippmann Let’s Hear It For The Boy is a pale periwinkle blue creme. It has a bit too much purple in its base to qualify as baby blue, as the name suggests, or sky blue and I dig it. It’s like a watered down version of China Glaze Secret Periwinkle. 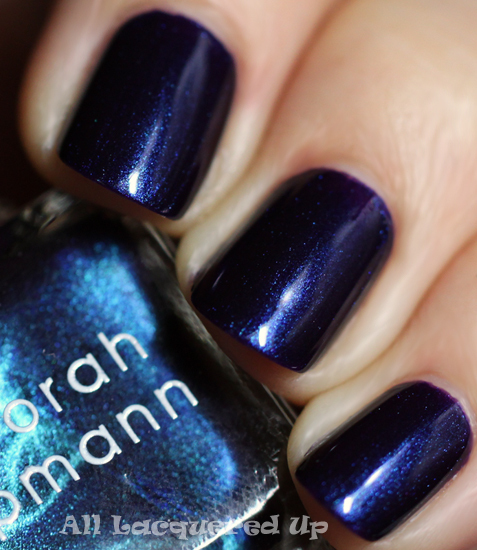 Deborah Lippmann Dancing In The Sheets is a moody indigo shimmer. The deep aubergine base is sprinkled with ice blue shimmer that makes the polish look duochrome in the bottle. 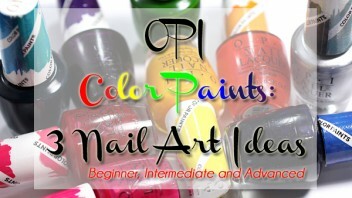 On the nail it has an inky, almost black look and in bright light, the shimmer comes to life. Bottom Line: I love the Lippmann formula and its wear but have always found the core line lacking in blues. If you love blues like I do, the Let’s Hear It For The Boy/Dancing In The Sheets duo will definitely fill that need. They will happily join Across The Universe and Lady Sings The Blues in my collection. The duo containing Almost Paradise and Footloose is worth a look if you’ve been hunting for that perfect pale yellow-based green. Even if you’re not all that into reds, you’ll fall for how amaze Footloose applies. The Deborah Lippmann for HSN Footloose Nail Polish Collection Duos are available exclusively on HSN.com. The duos retail for $32/set for two .5oz bottles. 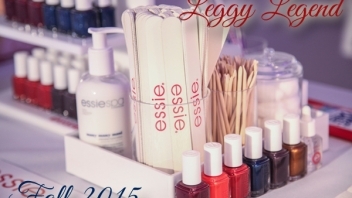 Are you feeling the Footloose collection polishes? Which duo is your fave? If you could create your own duo from the four shades, which two would you put together. Who saw the remake? Which version is better? 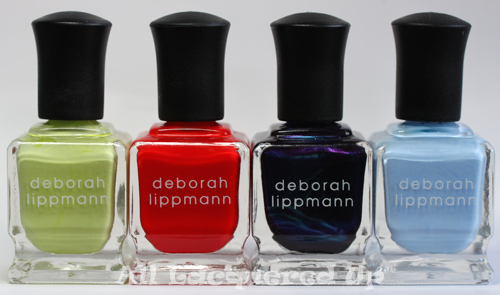 Disclosure: Product samples were provided by reps for Deborah Lippmann. For more info view my Disclosure Policy. I bought the blue set (not feeling the other set), and love Dancing in the Sheets. LOVE the red and the Dancing in the Sheets on you. They look awesome with your skin. Dancing in the sheets is gorgeous! I’ve been searching for a really great shade of blue and I think this may be it. Oh yay! 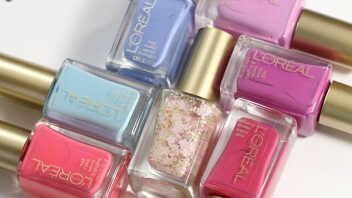 I was hoping to see swatches of these somewhere in the blogosphere… Even better that they are yours! I’m a sucker for periwinkles and Let’s Here it For the Boy would look lovely right next to I Know What Boys Like. 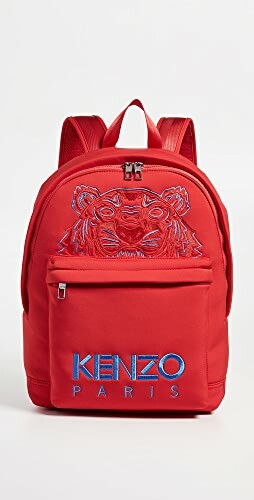 Too bad they aren’t sold individually I probably won’t cave, but I’m very tempted!! ooh I really like the footloose/almost paradise combo. The blue set is pretty too, but I must have a dozen colors that are already so similar. Eh. These are all pretty boring and entirely dupe-able. 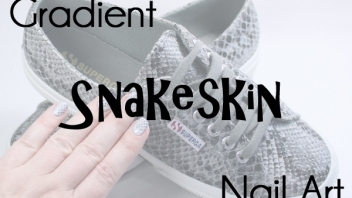 I’ve already got blues in nearly exactly those shades (multiples in the case of the periwinkle), and a Sinful Colors in precisely that yellow-green that wears well and covers in two coats. 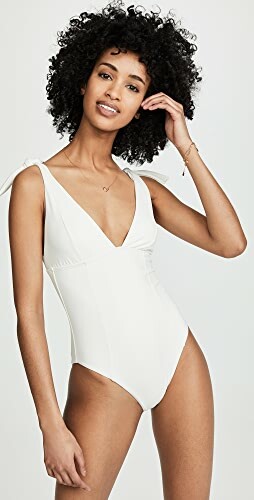 So these, for $16 each? No waaaaay. I’m not that in to any of these. I feel negative saying that, but it’s the truth. Dancing in the Sheets looks so gorgeous in the bottle but on the nail it looks like it’s easily duped. I always like to see “themed” collections… movies, countries, food (lol), it’s just fun! Love the blues! Not a fan of the fact that they’re not sold individually though. Oh well. That is a gorgeous red!!! I love all of them, dancing in the sheets and let’s hear it for the boy look amazing!! 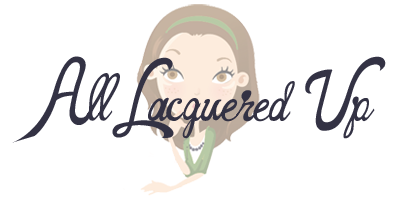 If you wouldn’t have posted this blog, I wouldn’t have known! I love the set of blues. 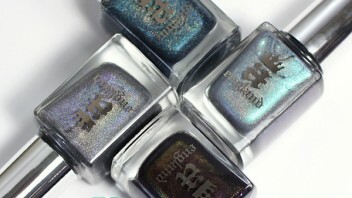 In fact I just ordered them:) Amazing swatches, like always! It’s actually a very good movie, I went to see it with my teenage daughters, they go to the same dance schoool that Kenny Wormald did (I must admit its a strange feeling seeing someone in a movie who you’ve seen dancing in recitals since he was a kid)…it’s a classic coming of age movie that deserved to be remade fresh for a new generation. The remake preserves all of the original themes; question autority, take action for something you care aobut, be yourself, art is transformative. And the dancing is far far better than the original. Thank goodness Deborah Lippman made four colors because now I have a stocking stuffer for each daughter! My favorite color in the collection is Deborah Lippmann Dancing In The Sheets. When I look at it I feel comfortable. I probably won’t get to the theatre to see Footloose first run but will definitely rent it. These are pretty, but it’s a pass for me. Way too much money compared to my beloved China Glaze. And I LOVED the Hairspray remake, it’s a totally different movie than the original, which I also love. Sometimes a retelling of a movie works, I don’t think I’ll be watching the new Footloose though. Is Dancing in the Sheets close to OPI Russian Navy at all? 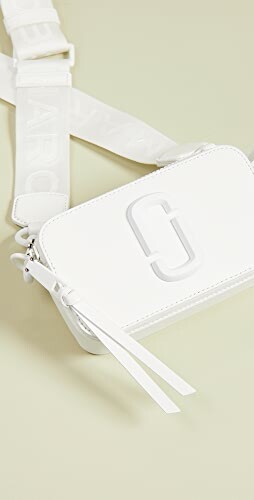 I am going to HSN website right now. I have been waiting to see swatches before I indulge. 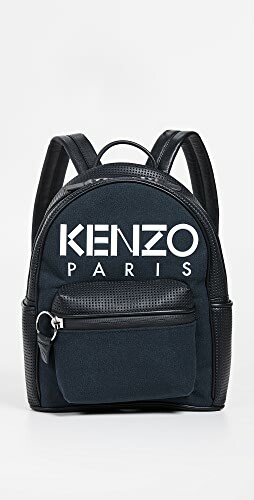 For the price I am going to have to love it and I do! I love the two blue polishes. Thanks!! Oooh, definitely like Dancing In The Sheets! I adore Footloose – wonder how it stands up as a possible close dup to CG new Holiday shade called Poinsettia??? 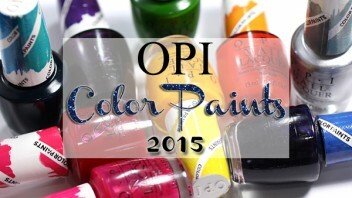 I’ve been meaning to write about my experience ordering Lippmann polishes from HSN. I was very much not impressed. 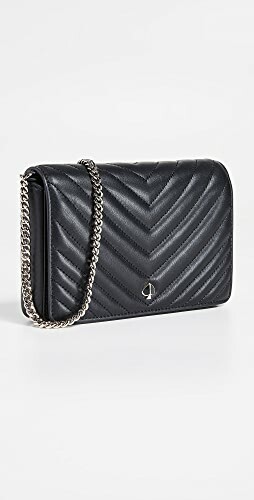 I found out after the fact that some of what they were selling was overstock from her old collection. I found the quality of all the Lippmann polishes I ordered from HSN to be sub-par and returned them all. I’ve been looking for that perfect red and I may have to try Footloose out! All 4 look nice but its a total of $64 for all so I’ll probably pass what all with the other amazing collections coming out this fall/winter. I like the remake better but only because I can’t stand older movies. They just annoy me to watch! The dancing in the old one was better though…excpet for Julianne Hough, that girl can shake some hips now! I really wish that Lets hear it for the Boy and Almost Paradise were a set. I’d be in in a heartbeat. I don’t love Dancing – and have never been super keen on reds – but the other two are just so lovely…. Dancing in the Sheets is pretty. I agree with you about the remakes. This is what happens when you let reality TV take over. There’s no more thinking, no more creativity. Footloose was already a musical, actually. Just saying. Oh I know, so was Hairspray. I didn’t like either one as a musical. 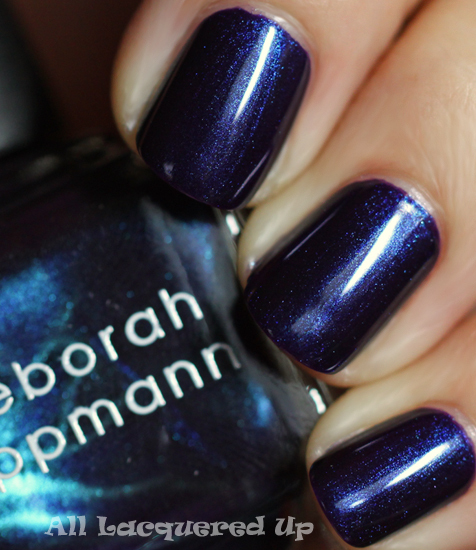 Deborah Lippmann Dancing In The Sheets is just super super super gorgeous!!! love this shade! 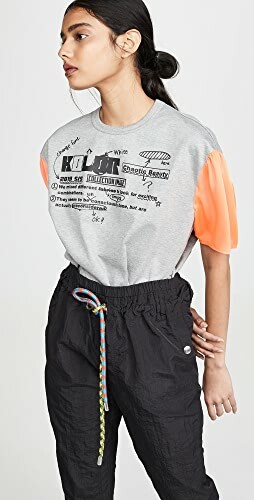 I really like these colors! I think the Let’s Hear It For The Boy is especially eye catching. It looks to be the right shade of light blue, not too baby blue or pale. absolute no desire to see this movie. NONE. However, I like in the sheets. Dancing in the streets and Footloose caught my eye almost instantly!!! I love it! Footloose is my new ultimate love. I love how red it is. I will probably not see the movie, but these polishes are pretty. Kind of unremarkable, but pretty still. 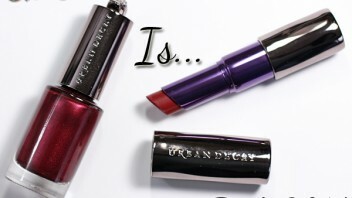 Would you say Footloose is a dupe for the sadly discontinued Maybelline Wet Look Juicy Tomato? Can you recommend a dupe for Juicy Tomato? I miss your 365 challenge. please come back michelle! i miss you! Hhhhmmm I love Dancing In The Sheets – it’s unique! I love dancing in the sheets! It’s a beautiful color. However, with the price of these, i have not yet broke down and bought any of the Deborah Lippmann polishes. I love the red! (I always love reds.) 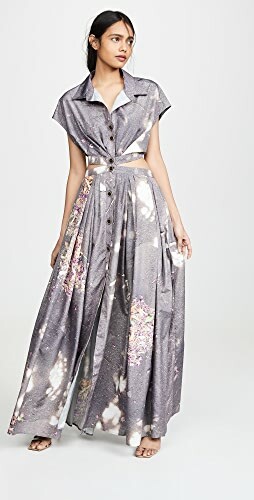 And the shimmery blue/purple? So pretty! I love Dancing in The Sheets – its great. I love it! 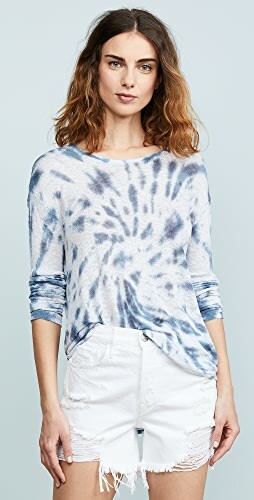 Just bought both sets on the HSN site on sale for 50% off! Yeah! !